Ooty is the town of enchanting winters and delightful summers. Udhagamandalam, lovingly called Ooty is one of the most charming hill stations in Tamil Nadu. This lush hill station is located in the Nilgiri Hills and has earned the nickname of ‘Queen of the Hills’. It’s one of the most popular hill stations in the country and is a summer vacation spot for families. The hill station is easily accessible by buses run by state and private organisations. Here are some of the perfect homes which will welcome you with open arms. From budget homes to lavish villas, We have covered everything in this list. Now, you can finally stop worrying and start packing! 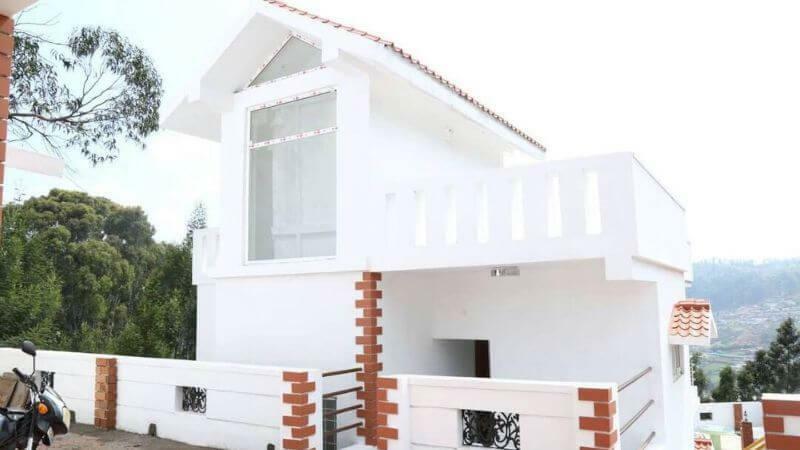 Cozy home located on the shore of Ooty Lake is perfect for those who want to stay near to a city yet away from all the hustle and bustle. Surrounded by well-manicured lawns, tucked away in the trees, this lovely homestay will take your breath away. And who wouldn’t love a place which offers to lend you books, right? Yes, you can borrow books from host’s collection here too! The rooms are clean and well-maintained. Home-cooked food will pamper your taste-buds and it will also give you a chance to explore the local cuisine. The host, Prabhu, who lives on the same premises, is warm and welcoming. He gladly arranges cabs or auto-rickshaws to take you any place in Ooty. What’s coolest? – Lovely patio overlooking the Lake where you can sit for hours admiring the landscapes. What’s free? – Indoor fireplace, wireless internet, parking, and washer. Book this charming homestay right now! 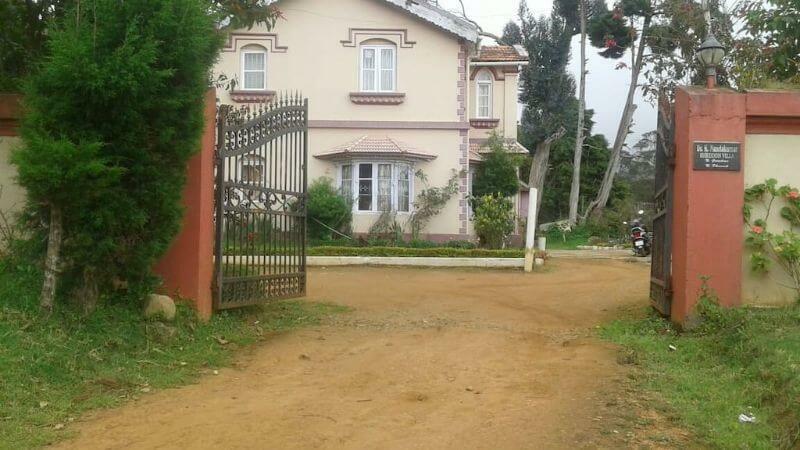 This budget homestay in Ooty is located on the hilltop away from all the chaos. Snowdon Heritage, as the name rightly suggests, is a heritage bungalow. Traditional exterior with modern interior is a great combination to make your stay pleasant. 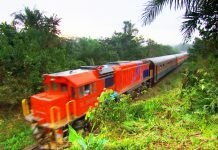 Guka, who is the host, is known for her warm and welcoming nature. If you tell her about your dining preferences in advance, she and her team will serve you with a delightful meal. 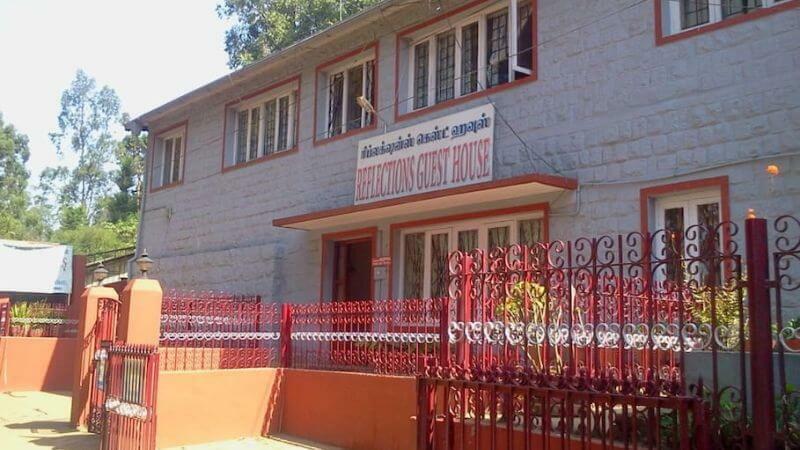 It is a home away from home in Ooty. Do not worry about the peak season rush and book a room now! 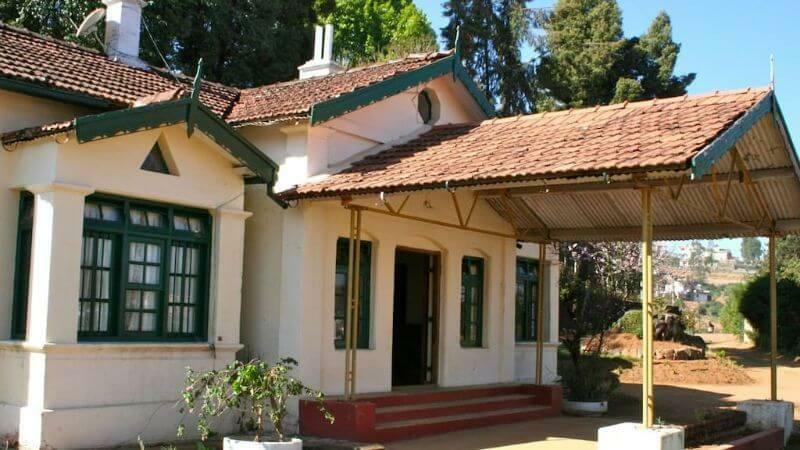 Are you looking for homestays in Ooty for a group? Do not want to be restricted by too many house rules? Search no more, my friend! Heaven18 by Winterfell is your answer. Get access to the entire villa and stay comfortably here. The whole property is well-kept and has everything you may need. The house is located in a friendly neighbourhood and is near to a city. The host, Jagadish, also provides scrumptious south-Indian food without burning a hole in your pocket. Check Out these day wise Ooty trips if you want to explore the city on this trip. Choose your accommodation and you are good to go! Are you a budget-traveller? Do you love doing something adventurous? Then why not stay at Khems Camp? 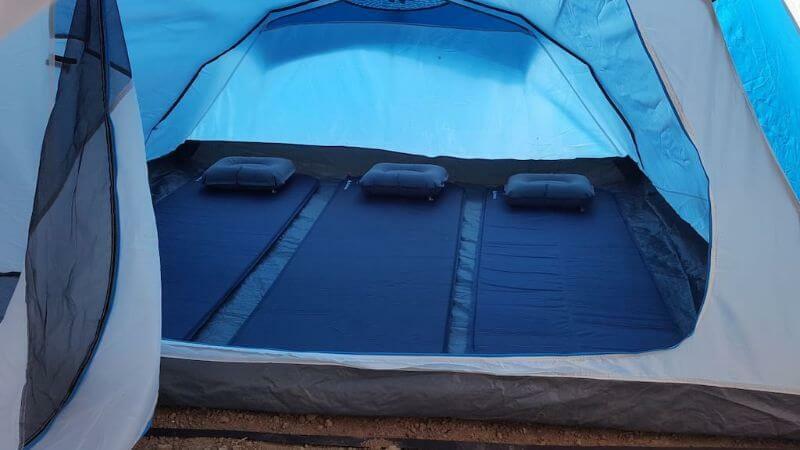 Tents, which are equipped with sleeping bags, air pillows, and torchlights, are perfect for those who like something interesting and unique. Though the tents are set on the lawns of the Sunshine bungalow, it never feels like you are staying in a residential area. Falling asleep in a star-studded sky and waking up to birds chirping around you is something you should not miss if you are in Ooty. And though you are staying in a tent, you still can access the whole property. Vikas is the host who always tries to provide the best service to his guests. What’s coolest? – It has an open area where you can sit beside a campfire and chat for a whole night. There are many Cottages in Ooty where you can stay, but only few can make your regular stay intimate and interesting. 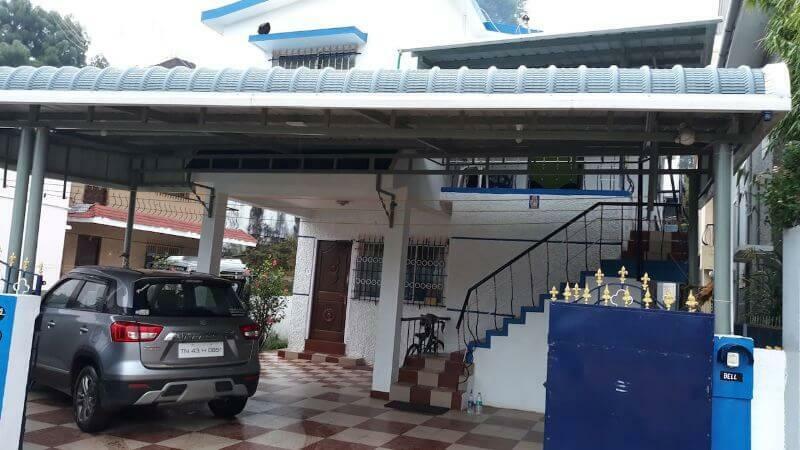 Homely and pleasant cottage hosted by Kalaivani is one of those rare places. Neat and clean rooms are the identity of this homestay. As it is in the middle of the city, you can wander the streets of Ooty without worrying about getting back to the house early. It is always a pleasure to stay where the host is staying because arranging the trip instantly becomes easier. Kalaivani makes sure that you know everything about the places you are going to visit and he also helps in arranging the cabs or taxis. Staying at the red-bricked house located on the hilltop with a backdrop of blue mountains is enough to make your stay in Ooty memorable. The road leading to the home is decorated with colourful flowers and lush greenery. The host has made sure that it feels like home away from home. 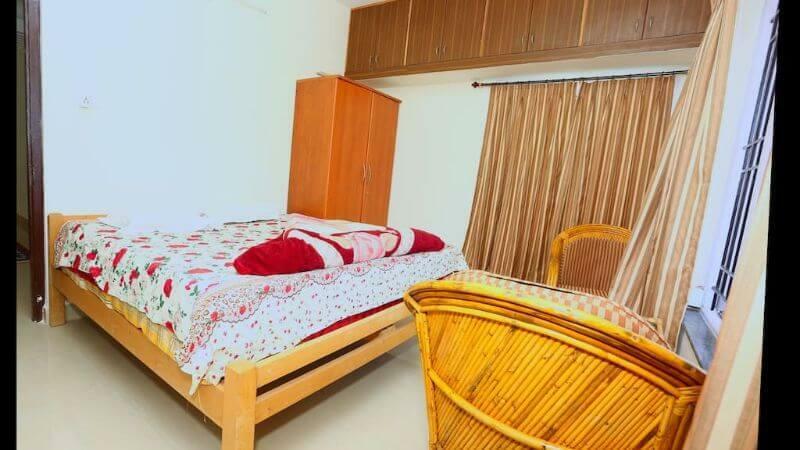 Sparklingly clean rooms well-maintained by a caretaker feel welcoming. When you look outside the windows, you will notice that the place is packed with breath-taking vistas. Talk with the host and he will go out of his way to answer all your questions. Dar Es Abu Homestay is a huge house which can easily accommodate up to six guests at a time. 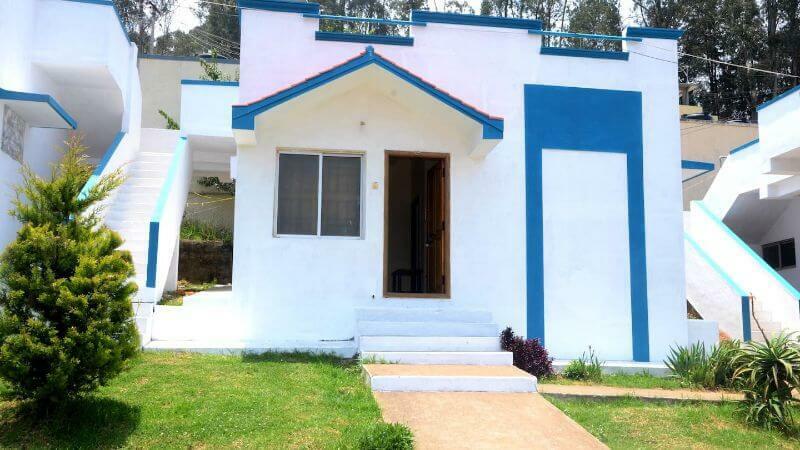 It is a lovely budget homestay in Ooty located in the middle of a city with a view of a boathouse. This house feels like a home, all thanks to the host! Priya keeps this place sparkling clean and makes sure that you have everything you need. A small gazebo on premises can be accessed if you have taken a permission first. Beautiful, endless landscapes stretched in front of you will make you want to stay more. What’s coolest? – If informed earlier, you can host small, intimate events here. Book this exquisite homestay right now! This beautiful English home is known as Stadacona. Built in 1936, staying at this heritage house will take you back in time. Though it was recently renovated, the host has succeeded in maintaining the old charm of the place. Spread over an acre with lovely gardens around, this secluded home will let you experience the peace and tranquillity. Niranjan, the super-friendly host, will help you in arranging transportation around the town. Tell him in advance if you want taste delicious home-made food. Excellent for families or groups, stay here and enjoy the perfect vacation. Stop worrying about the peak season rush and book this stay right now! 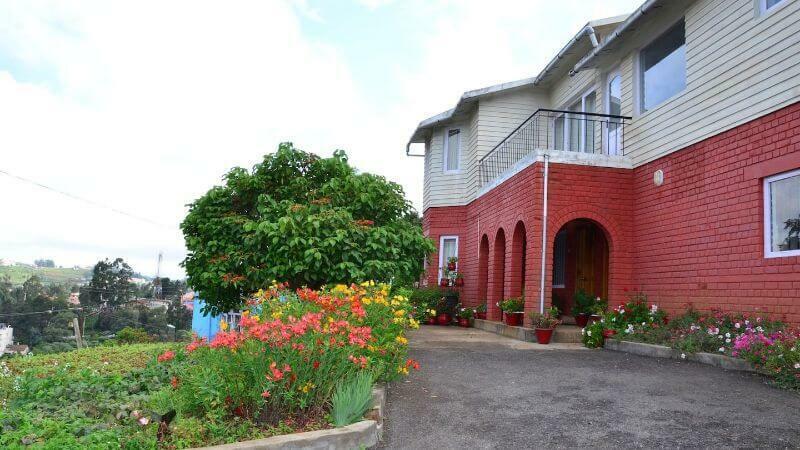 If you love staying at a house which is located on a hillslope and offers panoramic views of a city, then Belle Vue Home Stay is the place for you. Around six people can easily stay here and get access to a whole house. Located in the heart of Ooty, staying here will give you a chance to explore the least-known parts of this city. The host, Shekhar, is very friendly and will help you in choosing the best places to eat and visit. The house is maintained by a caretaker and you do not have to worry about a thing. Spending a relaxing weekend here is guaranteed to rejuvenate you. What’s coolest? – Terrace overlooking the town where you can sit and spend a leisurely couple of hours. What else can be more relaxing than coming to a clean and cozy accommodation after wandering around Ooty for a whole day? Ulo Royal Rejoice Resorts make sure that your stay will be pleasant and unforgettable. You can get a separate room in a private villa here. Located in a quiet neighbourhood, staying here will give you a glimpse of the local lifestyle. Huge windows overlooking the town keep the rooms fresh and airy. The host, Viswanathan, who loves chatting with people, will have answers for all your queries. What’s coolest? – Small gardens outside where you can sit and enjoy a cup of tea. What’s free? – Indoor fireplace, breakfast and towels. Book this lovely homestay right now! 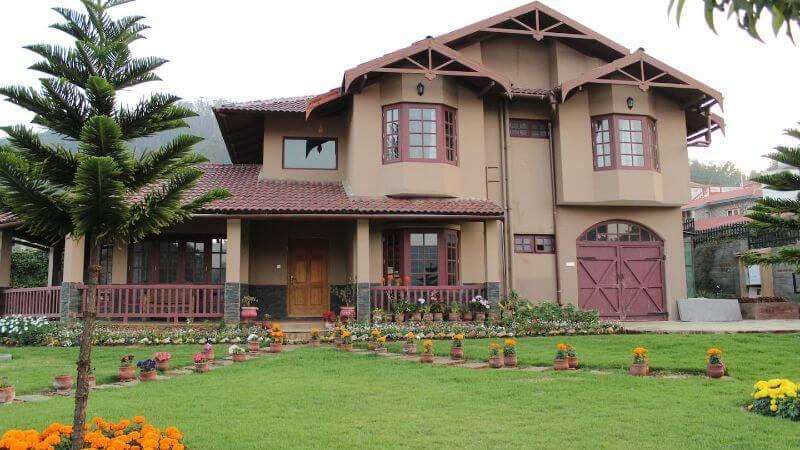 This is spacious villa with eight bedrooms located away from the hustle and bustle of the city. Every room is clean and well-equipped. If you are travelling with children, you will not find a more kid-friendly property than this one. They can run around and play on the surrounding lawns. There are numerous nooks and corners here where you can sit reading a book or simply admiring the beautiful landscapes. It looks enchanting around the sunset when nearby mountains and the sky are painted in the shades of reds and yellows. Also check out these family friendly holiday destinations in India to help you select the best place for summer or winter vacation. What’s coolest? – vibrant coloured slides and swings on the lawn. 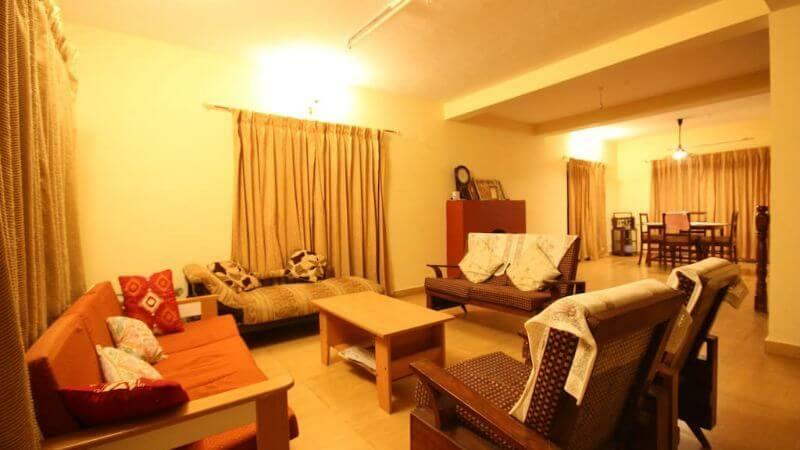 If you are looking for a homestay in Ooty for a family, Reuben’s HomeStay is great for you. Situated near to a town, the location is perfect in you are interested in exploring Ooty. This huge bungalow with sloping roofs can easily accommodate up to eight people at a time. Surrounding gardens and beautiful landscapes make it even more charming. If you love cooking, then the well-maintained kitchen is all yours. If not, the cook will serve you mouth-watering food and you can also choose dishes from their interesting menu. The host will guide to some of the best tourist attractions around the city. What’s coolest? – A home itself which is a perfect combination of traditional architecture and modern amenities. What’s free? – Indoor fireplace, wireless Internet, laptop-friendly workspace, and washer. A harmonious wooden home is a great place to stay for couples who are looking for a romantic getaway. This homestay is located a little away from Ooty in Lovedale town which gives you an opportunity to explore more area easily. Situated on a hillslope, this home also has sprawling lawns around. After a good night’s sleep, you are guaranteed to wake up by chirping birds dancing on your balcony. You can have a home-cooked food here or head out to Ooty which is only ten minutes away from here. The host, Ashok, who was born and brought up in this scenic area, will help you in choosing the best attractions. What’s free? – Cable TV, breakfast, towels, and bedsheets. Have you ever imagined staying at a home which is surrounded by pine trees and is located in the middle of lush-green fields? 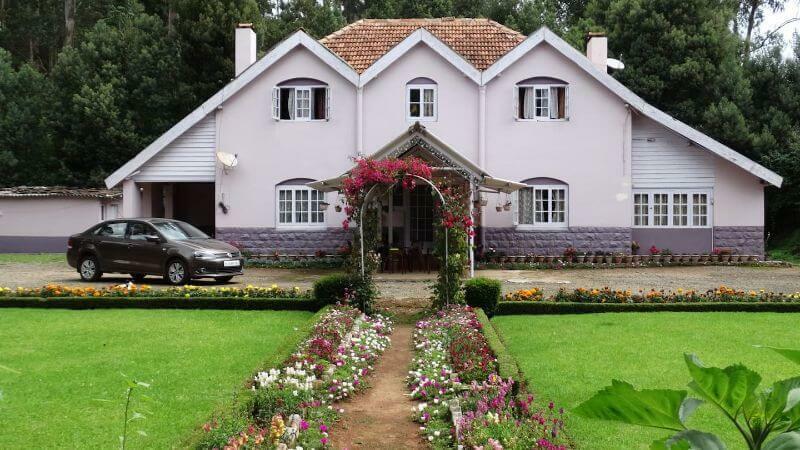 Stop imagining and book this homestay in Ooty which is perfect for families, couples or even solo travellers. Located a little away from all the chaos of a city and yet easy to reach, this homestay is like a dream-come-true. Huge windows offer an enchanting view of the beautiful landscapes. You can leisurely sit on the patio sipping hot coffee or can spend a relaxing time indoors without worrying about anything. Prakash is the perfect host who goes an extra mile to make your stay memorable. What’s coolest? – Well-mowed lawn where you can unwind and kids can run around. 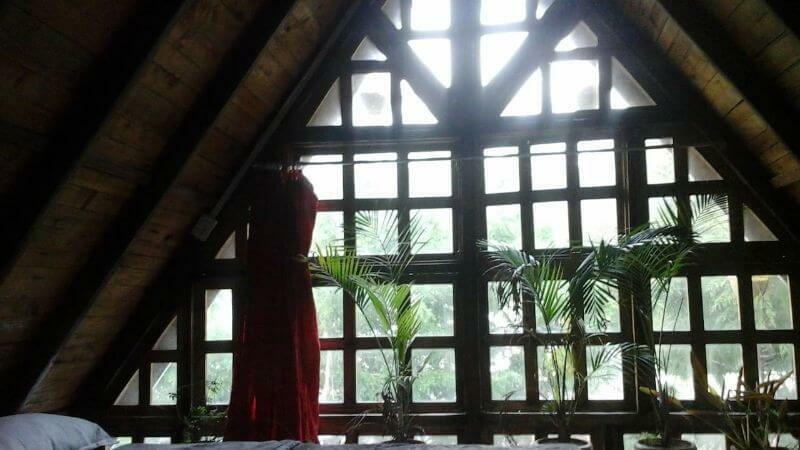 Book this homestay and stay where you will feel closer to nature! Wouldn’t you love to stay in a colonial bungalow where a whole team is ready to take care of all your needs? 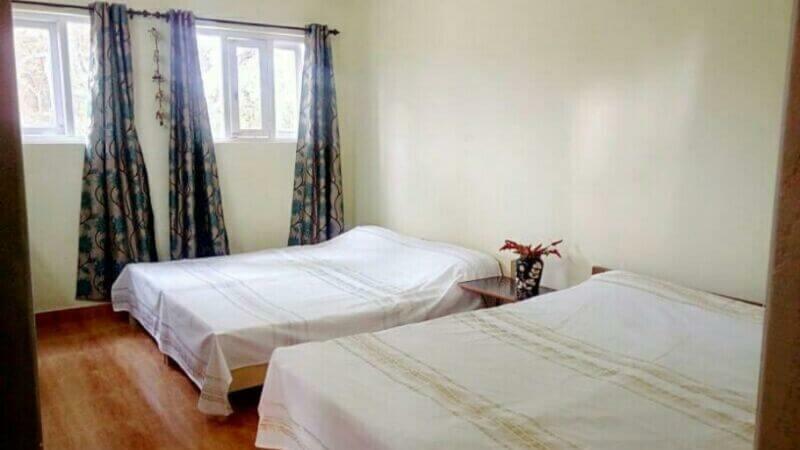 This place in Ooty by Tranquilitea has everything you need to make your stay comfortable and enjoyable. If you are looking for a romantic getaway in Ooty, this is the place to be! The white house with green coloured windows has rosewood and teak furniture. Staying here feels like stepping back in time. The surrounding gardens are perfect for spending a quality time with your loved ones. Stepping in the covered patio in the morning is enough to freshen you up in a moment. The host’s family is staying here from the last three generations. So, he is the perfect person to show you around. Ooty is perfect to spend a vacation with your loved ones. Choose any of these fifteen homestays to make it even more special. *Prices may vary depending on the season.